NEC works closely with Sales Partners to reach small & medium sized as well as large sized customers, in order to deliver differentiating solutions that provide a competitive edge. In the case of SDN/SDx solutions, the partner co-creation community is even more important. In this space, we will provide you with shared information in order to better develop your business, demo material and co-creation information. Connect with other SDN/SDx partners, NEC experts and get the info you are looking for. This is the place to get inspired by networking, learning, collaboration and co-creation. 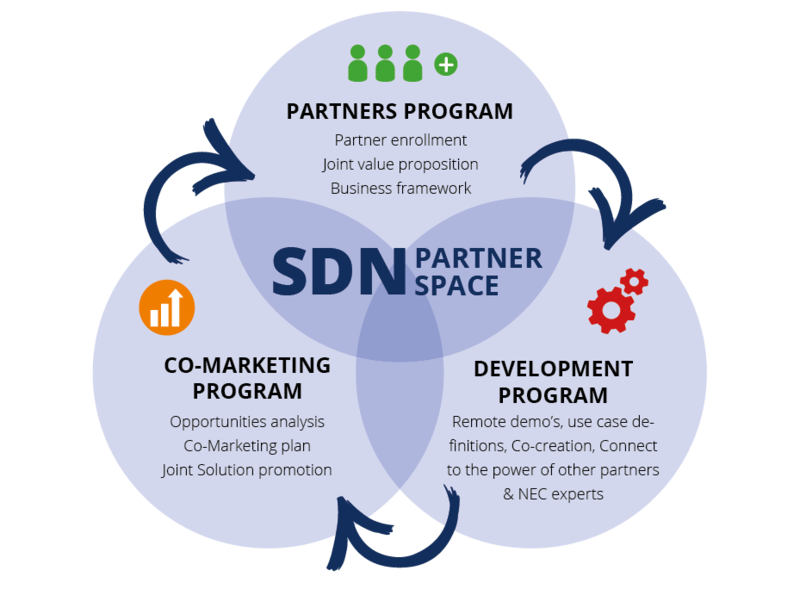 Interested in becoming a part of the SDN/SDx Partner Space? Become a SDN Partner now!